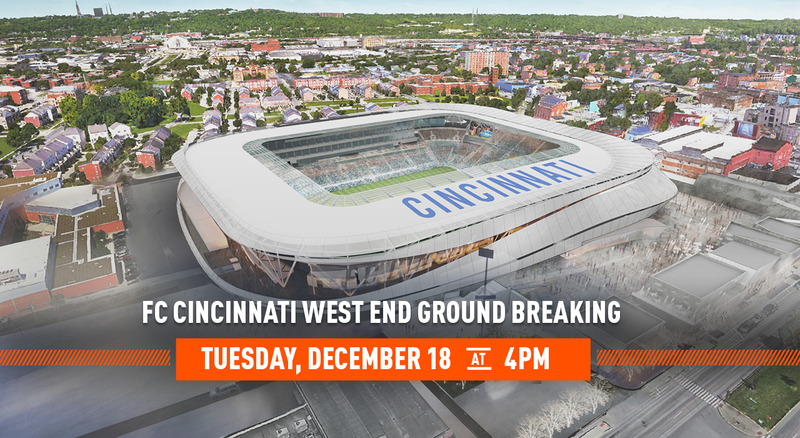 FC Cincinnati will formally break ground at its West End neighborhood stadium site with a public event at 4 p.m. on Tuesday, Dec. 18. The West End community and the general public are invited to participate in the landmark event. The event will be staged rain or shine. The public is invited to participate in this event and should enter the former Stargel Stadium site via the marked entrances off Central Ave., near the rear of Taft High School and West 15th St.